Rokill is committed to supporting charities where our support will make a difference, for example the Youth Cancer Trust and other local charities. 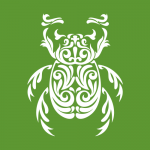 We also support QEST – the Queen Elizabeth Scholarship Trust. The business is also committed to corporate responsibility in order to enhance the value of the business and that of the Group as a whole. The nature of each business, as well as local cultures and needs, determine which issues are most relevant in our markets in addition to minimum standards set by the Group. The Managing Director is responsible for advising the company on corporate responsibility matters. We are committed to reporting on our corporate responsibility policies and actions annually, which will enable others to judge our performance. In shaping our particular approach to corporate responsibility, we engage with business and non-business interest groups to ensure that we fully understand their expectations of us and to ensure that our policies and programmes address relevant issues. Rokill aims to set, maintain and promote high standards of corporate responsibility. 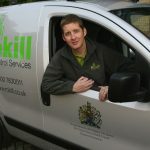 As a professional pest control contractor providing services to all sectors, we believe that a positive record as a conscientious employer, acting responsibly and with integrity, will enhance our reputation. As such, we believe it can contribute to our long-term financial success and to our primary objective of achieving financial security for the business.